The day after marrying her first husband Jimmy Gulzar, Mel B released her debut solo single I Want You Back, featuring Missy Elliott! 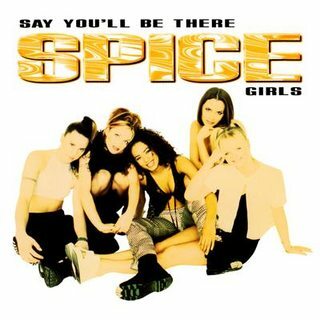 The R&B/Hip-Hop flavoured track was the very first solo release to come from any of the Spice Girls. It debuted at #1 in the UK, and would prove to be Mel's only chart topper away from the group. Its entry date of Sunday 20th September 1998 was also the last date of the Spiceworld Tour, with the concluding date taking place at Wembley Stadium. Victoria's first chart moment away from the Spice Girls was a collaboration with True Steppers & Dane Bowers - Out of Your Mind - in August 2000. It would be another year until she was ready to release her first completely solo single, Not Such an Innocent Girl. By 2001, all of her former band-mates had achieved at least one solo #1 each (the aforementioned Out of Your Mind had had to make do with #2). The pressure was on for Victoria to achieve the same. With an expensive-looking video and an intense promotional schedule, surely Victoria's time had come? Unfortunately for her, it wasn't to be! Despite a much-hyped chart battle between herself and Kylie Minogue (who won out, with Can't Get You Out of My Head entering at #1), she fell way short of the mark - entering and peaking at #6. Surely a great position to achieve for a lot of artists, but for Victoria it was labelled as an unmitigated flop. Mel B surprised her fans with the release of For Once in My Life, her first music release in over 8 years! Was she finally gearing herself up to release a third solo album? Sadly not, as another 4 years have come and gone without further music releases! For the past decade Mel has experienced major success in the television industry, and thus has prioritised presenting & judging over music. For Once in My Life was backed with one of the more memorable solo-Spice music videos - it was filmed on the set of Desperate Housewives, and sees her stripping off, cutting her own hair and even giving herself a kiss on the lips. ;o Ultimately chart success wasn't forthcoming, although it managed to make it to #30 in the UK Indie singles chart, and #2 in the US Billboard Dance Club Songs. I like 'For Once In My Life'. It was mainly stemmed from me and my then housemate having an ironic obsession with it bit then grew to genuinely like it. 'I Want You Back' is probably one of the most forgettable and nondescript #1s ever.  NSAIG is okay, but nothing to write home about at all. wow didnt realize they all came out around the same time. I loved both IWYB and FOIML. Missy did a great thing working with Mel on that track. I only wish she (and Timbaland) could've done more on the album. NSAIG was cute when it came out. I rarely listen to it now, I loved the video tho. The Spice Girls performed the last two dates of their Spiceworld Tour at Wembley Stadium! The tour began in February 1998 in Dublin, Ireland, and at this point the Spice Girls were still in tact as a 5 piece. However, by the end of the first European leg in May, Geri quit the group - just two weeks before they were set to embark on their North American dates. Despite fears of a backlash, their American fans proved themselves to be fine with the prospect of seeing a quartet instead. Barely any refunds were requested and every American date was successfully completed. By the time the girls returned to the UK for their stadium dates in Sheffield & London, both Mel B & Victoria were showing the signs of pregnancy. The Wembley shows were filmed, and subsequently released on VHS in November 1998 and DVD in October 2008. Memorable elements of this tour include the If U Can't Dance intro (I love the routine / formation! ), Naked (despite it seeming that only the chairs they were sat on were covering their modesty, they weren't completely naked x), 2 Become 1 (Emma's extended high note ), Spice Up Your Life (the conga *. *) and a rousing cover of We Are Family. Looking back, it's a great shame that the biggest show of their career wasn't with the full line-up. This is why I actually prefer their Istanbul show from 1997 - for me it represents the group at their peak & I enjoy it more (even though it's sadly lacking a performance of Viva Forever). Geri has since expressed regret at missing out on the opportunity to perform at Wembley Stadium - although she did get to perform for American & Canadian fans for the first time, thanks to the 2007/8 tour The Return of the Spice Girls. Melanie C released Goin' Down, which managed a peak of #4 in the UK. This grungy rock song was released as the lead single off her debut album Northern Star. Mel B released Tell Me, which also reached #4 in the UK and preceded the release of her debut album Hot. It includes the memorable lyric "all you loved was Mel B's money" (this song is about her ex-husband Jimmy Gulzar). Mel B's debut album Hot was released. 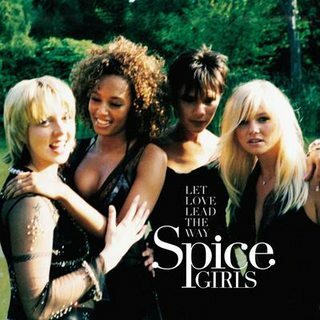 It proved to be a commercial disaster, stalling at #28 in the UK chart - making it the first Spice related release to miss the UK Top 20. Mel B sadly has the dubious honour of being the only Spice Girl not to have achieved a Top 10 solo album. Four months after release, Mel achieved another Top 5 hit single with 'Feels So Good', but interest in its parent album remained limited - only managing to climb to #95. Victoria Beckham's self-titled album came out. She was the last of the Spice Girls to release a debut, following Geri's 'Schizophonic' (1999), Melanie C's 'Northern Star' (1999), Mel B's 'Hot' (2000) and Emma's 'A Girl Like Me' (2001). 'Victoria Beckham' achieved a UK peak of #10, following on from the #6 peak its lead single 'Not Such An Innocent Girl' acheived. Sadly this would prove to be Victoria's only commercially released album, although her second album sessions (from 2003/2004) were eventually leaked. 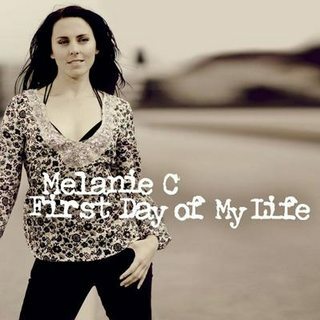 Melanie C released First Day of My Life (a cover of an Enrique Iglesias song). It became a #1 smash in Germany, Spain & Switzerland thanks to being the theme song from the German soap opera telenovela Wege zum Glück. The single's success lead to a re-release of her third album Beautiful Intentions, which hadn't previously included the track. Curiously she didn't release this as a single in the UK, but included it as a bonus track on the 'Carolyna' single in 2007. DON'T EVEN FORGET ABOUT THE MEL'S 'VIVA FOREVER' MOMENT. I.e. the absolute best moment from the concert! Emma Bunton released Maybe, the second single to be taken from her sophomore album Free Me! What a gem of a pop song. It provided Emma with a #6 peak in the UK. The official launch of the Spice Girls dolls! They would go on to be the fifth best selling toy of Christmas 1997 in the UK with 300,000 sales, which was reportedly too limited to satisfy demand. 9 year old me really wanted them, but 9 year old me was also too aware of "dolls not being for boys" to dare ask :') Does anyone here collect their dolls? Omg 21 years since their best single was released!! Melanie C's debut album - Northern Star - was released 18 years ago! Released three weeks after introductory single 'Goin' Down', the album started off somewhat modestly in the UK album chart - entering at #10, on sales of just under 18,000. Northern Star initially spent just three weeks inside the Top 40, but with the release of its title track as the second single, it climbed back inside, and remained within the Top 40 over Christmas 1999. This caused its sales to swell to 175,000 by the end of the year. 2000 proved to be an incredibly successful year for Melanie C. The album's third & fourth releases - Never Be The Same Again and I Turn To You - both topped the UK charts. A re-release of the album containing newer versions of these two singles saw Northern Star achieve its peak of #4. It was certified 3xPlatinum by February 2001, denoting shipments of over 900,000 copies. Its actual UK sales stood at 890,150 as of October 2016. It also achieved great longevity, registering 99 weeks inside the UK Top 200 - even re-entering the Top 75 in 2004! The album was also a success in other countries. It reached #1 in Sweden and peaked within the Top 10 in several countries. It was certified gold in Australia, Canada and Switzerland, and platinum in Germany and Sweden. Although Northern Star only reached #108 in the US Billboard chart, it sold around 95,000 copies there in total. With an estimated 4 million sales worldwide, this makes Northern Star by far the most successful album released by a member of the Spice Girls gone solo. Go Melanie! Despite the album receiving average reviews upon release (including a particularly scathing assessment by NME), its a true fan favourite - with many fans citing it as not only Melanie's best work, but as the best solo Spice Girls album. It's arguably the most genre diverse album released by a Spice Girl too, exploring pop, rock, electronic, r&b, techno and punk - with production from Rick Rubin, Rick Nowels, Craig Armstrong, Marius De Vries, Rhett Lawrence and most notably William Orbit, who was one of the producers on Madonna's much-celebrated album 'Ray of Light' (1998). WOW time flies I still love this album so much one of her best work ever and one of the best spice solo albums ever . I like Northern star but not myfav solo record. Is funny to see how modest was in the beginning and how big became after NBTSA and I turn to you. Northern Star is Melanie's best album, still love it now. 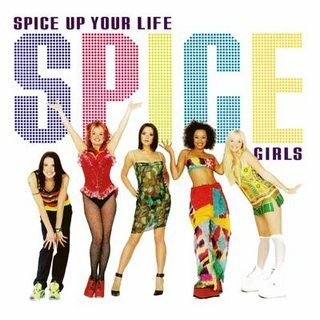 Not the best solo spice album but certainly one of the best. 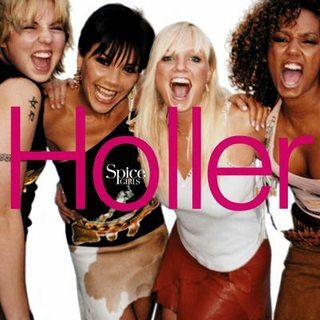 Spice Girls released their Holler / Let Love Lead the Way, the "Double A Side" single which launched their third studio album, Forever! The single reached #1 in the UK, becoming their 9th and final chart topper as a group.